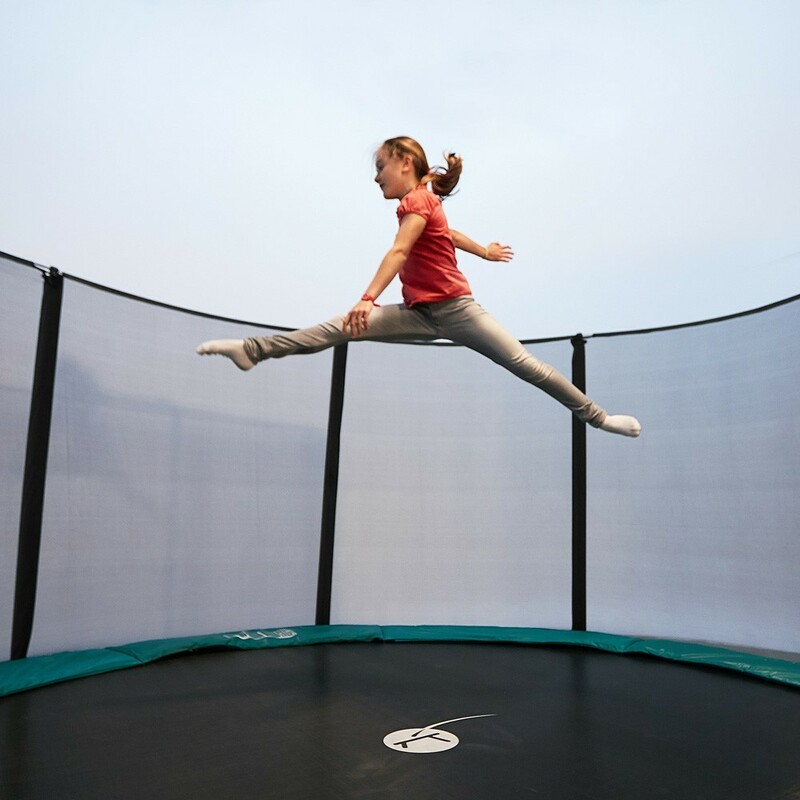 This round Jump’Up 460 trampoline with enclosure and ladder, has a huge diameter of 4.66 m, offering a big play area for larger families. 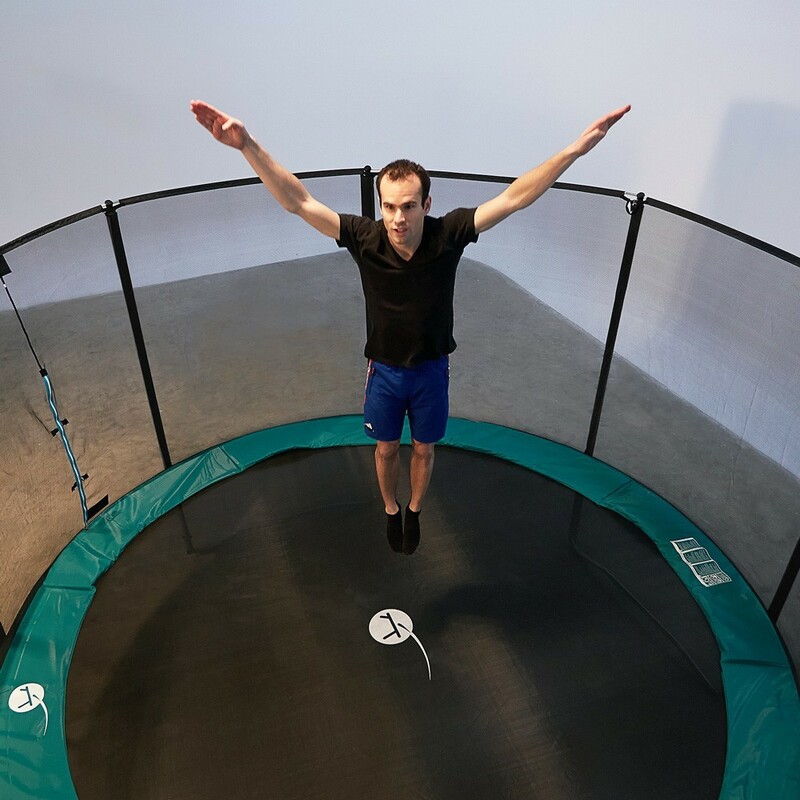 It can withstand up to 120 kg in weight and has five feet instead of the four found on the smaller trampolines in the range. 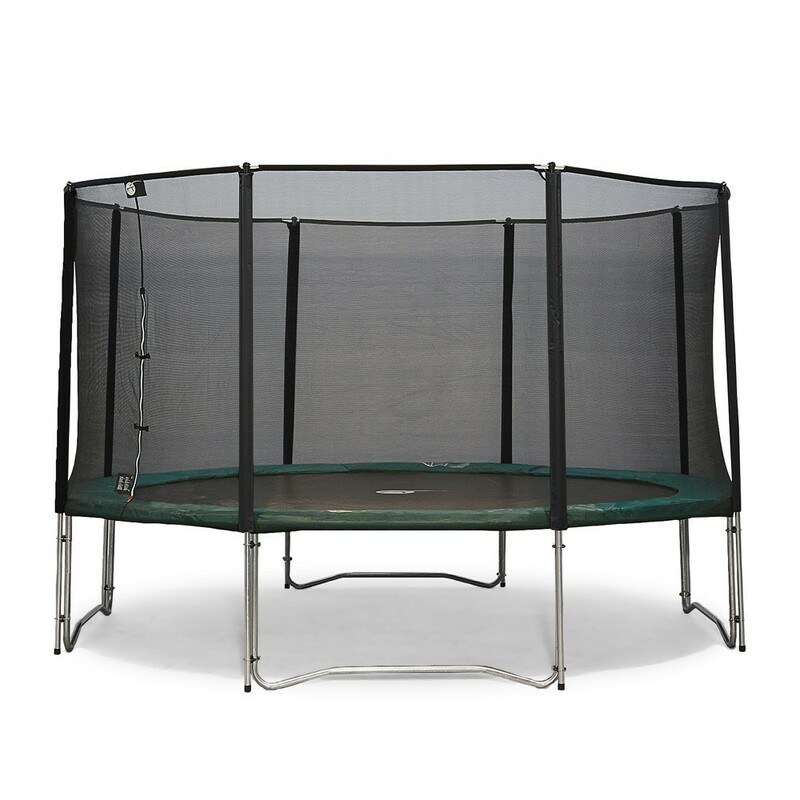 - Its steel framework has been designed to be strong enough for jumpers of all ages. 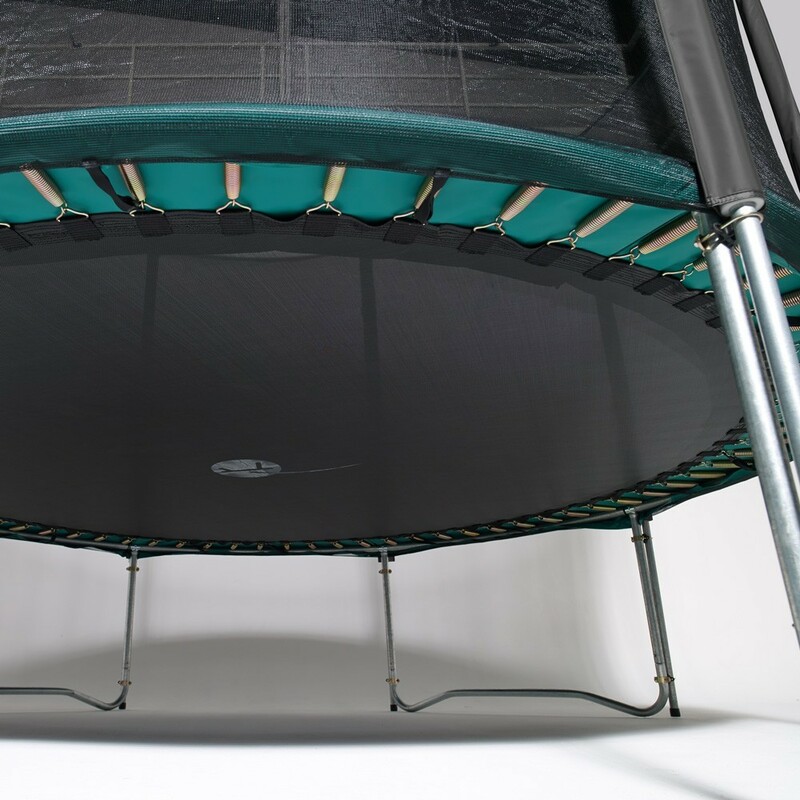 It is made using T-junction components between the framework and the legs of the trampoline, that do not need to be welded together, this ensures durability and strength. 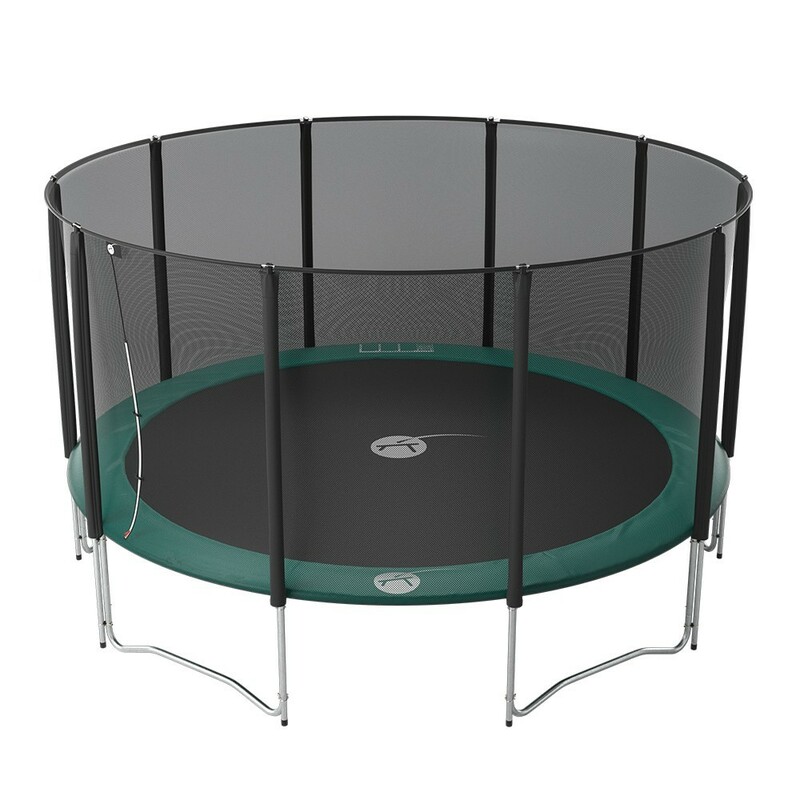 The 45 mm in diameter tubes have been hot-dip galvanized: your trampoline will therefore be able to welcome the whole family, in all weather, 365 days a year. 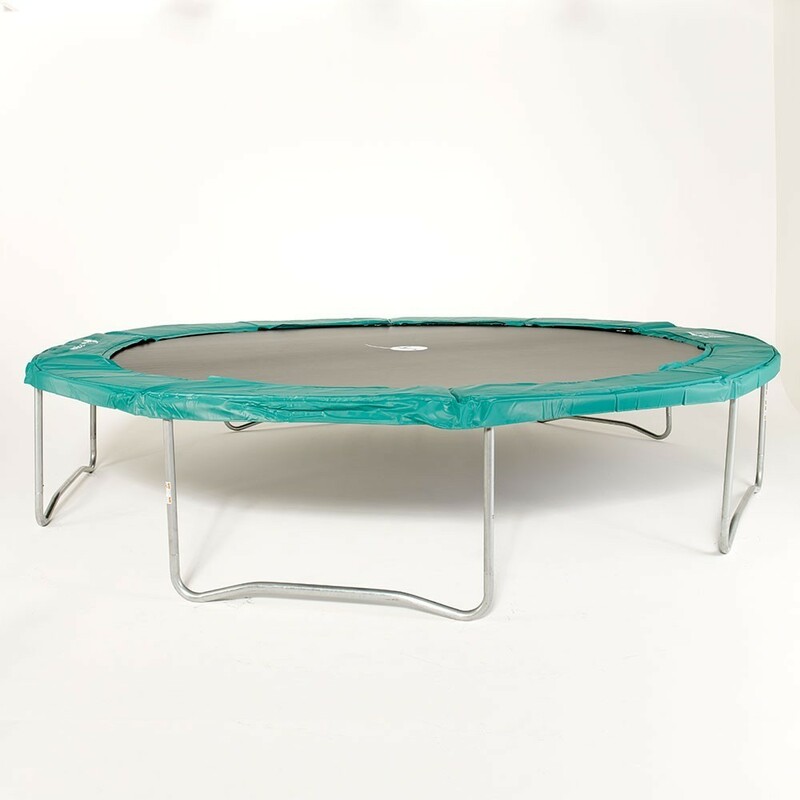 - This spacious trampoline has a powerful bounce, due to it 100 large springs of 180 mm in length. 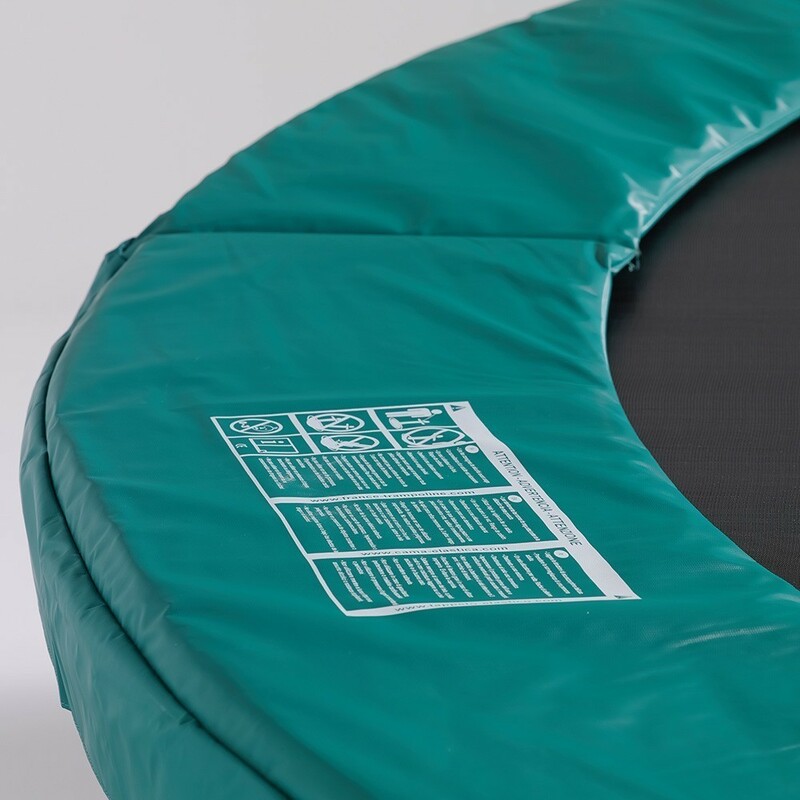 - The jumping mat on the trampoline is designed to resist against repeated use by your children over the years. 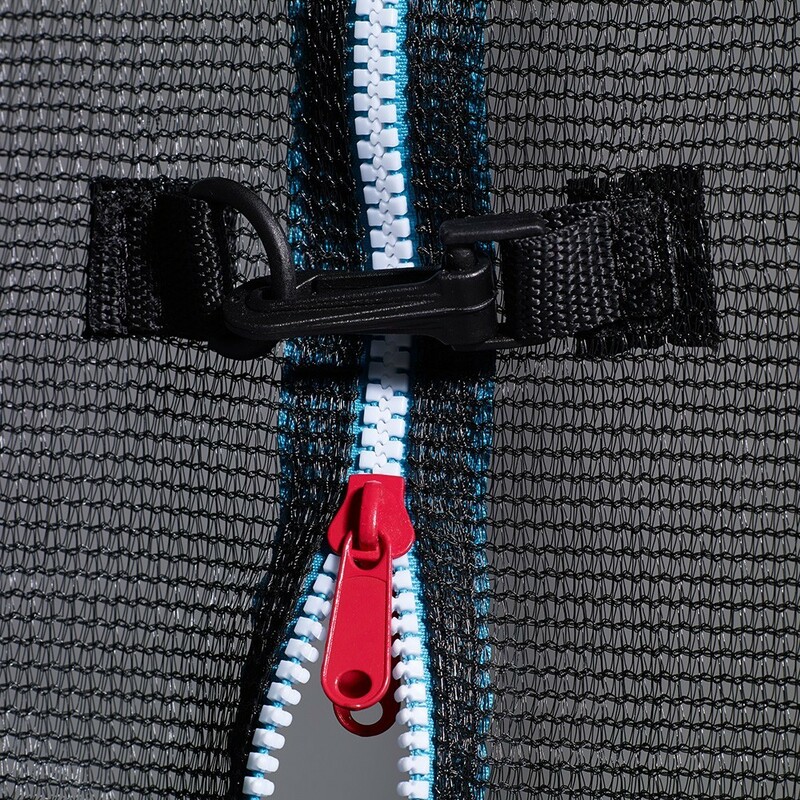 The straps are reinforced by 8 rows of stitching and a reinforcement strip. 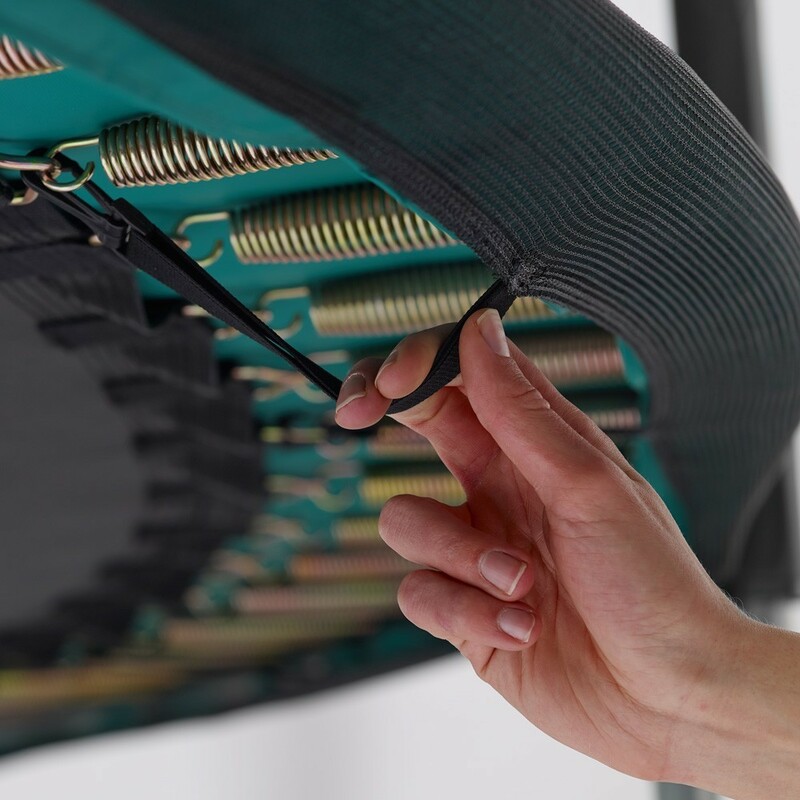 - The green frame pad covers the corrosion-resistant springs. The pad is made of monobloc EPE foam which is 20 mm thick and covered in resistant, waterproof PVC (similar to the tarpaulin on a lorry). 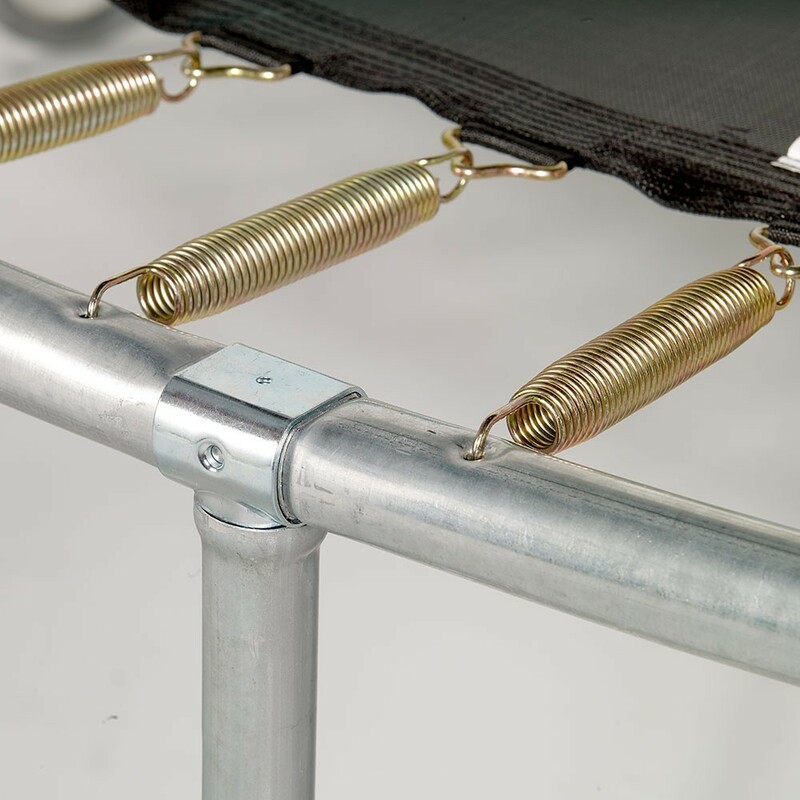 This is the necessary thickness to prevent your children from feeling the springs. 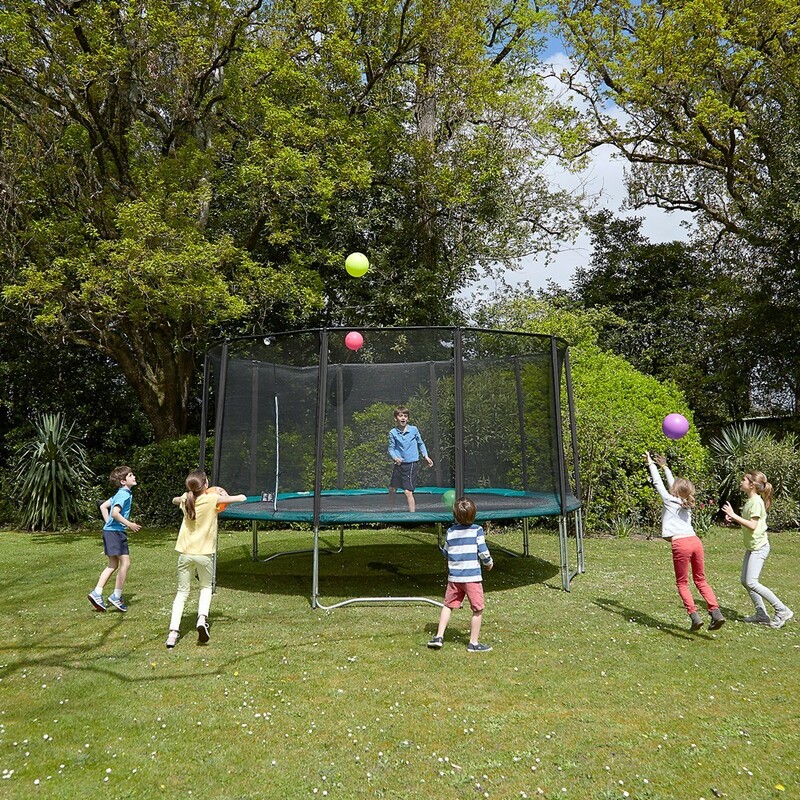 - The enclosure, exclusive to France Trampoline, meets unequaled quality standards. 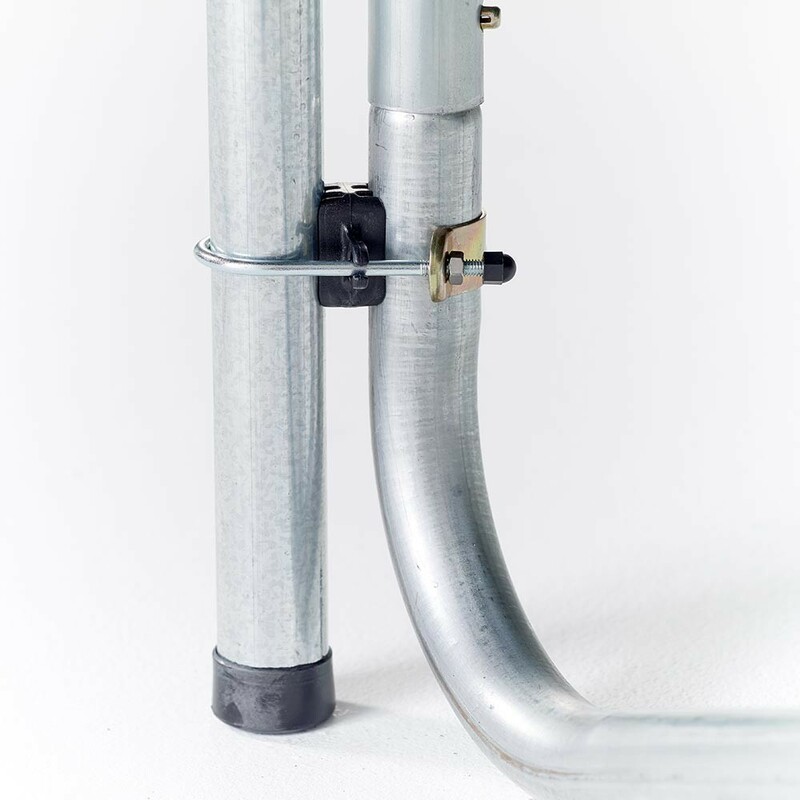 It is held in place using 10 posts of 32 mm in diameter, which go all the way down to the ground. All the other posts on the market only have a 25 mm diameter. 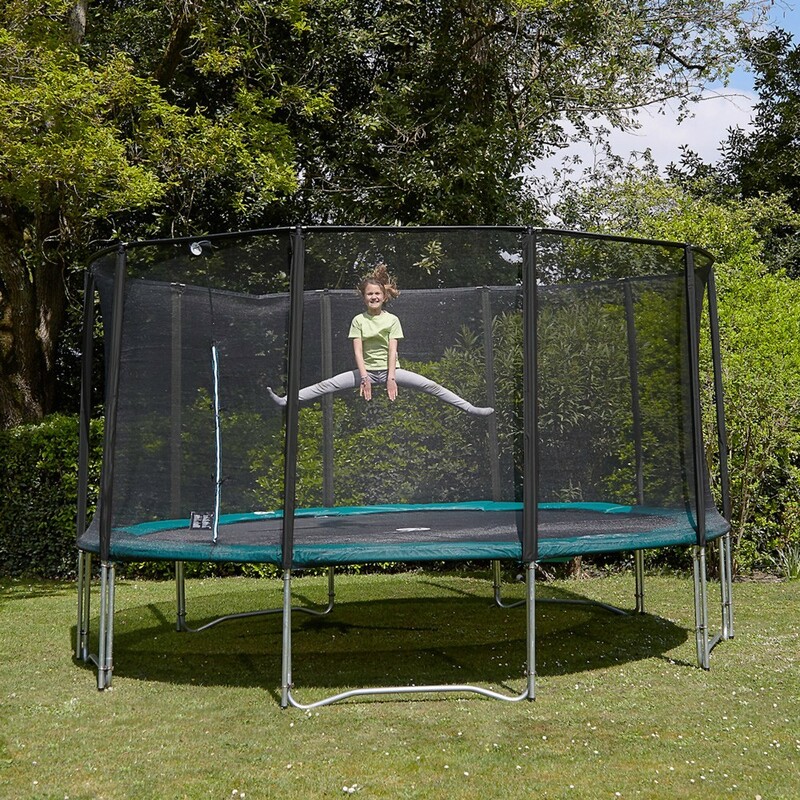 Rigid fibreglass rods hold the top of the enclosure in place and guarantee optimal tension: this prevents any gaps forming between the netting and the frame pad. - The overlapping entrance is safer than a one-layered entrance. 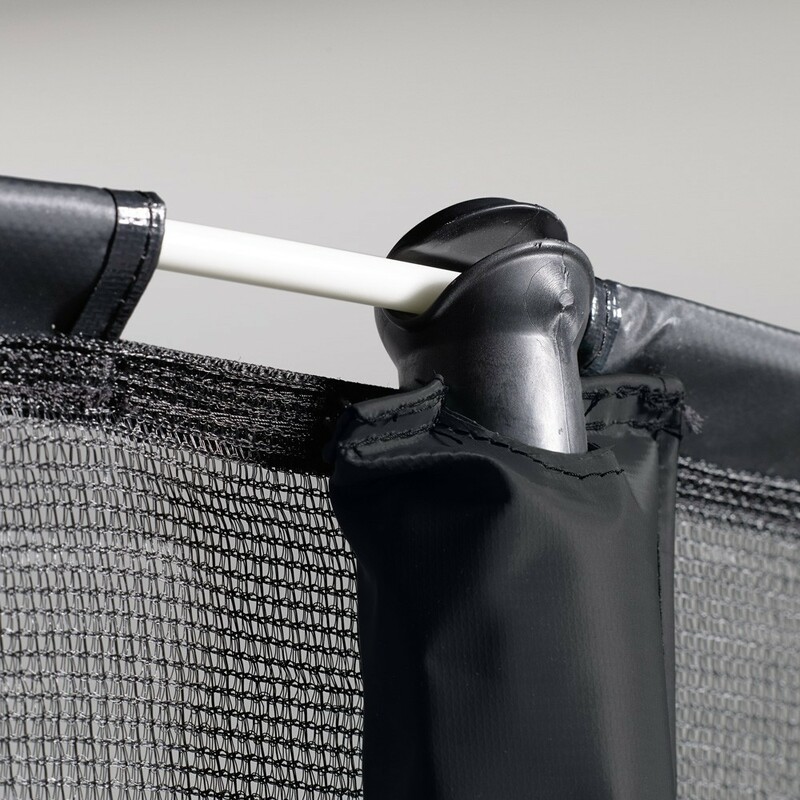 It has 2 layers of netting and a double closing system (velcro and straps).